One of the most common and well known therapeutic procedures performed by doctors of chiropractic is spinal manipulation (sometimes referred to as a "chiropractic adjustment"). The purpose of spinal manipulation is to restore joint mobility by manually applying a controlled force into joints that have become hypomobile – or restricted in their movement – as a result of a tissue injury. Tissue injury can be caused by a single traumatic event, such as improper lifting of a heavy object, or through repetitive stresses, such as sitting in an awkward position with poor spinal posture for an extended period of time. In either case, injured tissues undergo physical and chemical changes that can cause inflammation, pain, and diminished function for an individual. Manipulation, or adjustment of the affected joint and tissues, restores mobility, thereby alleviating pain and muscle tightness, allowing tissues to heal. Chiropractic manipulation is a highly controlled procedure which reduces the subluxation (spinal misalignment) with the goals of increasing range of motion, reducing nerve irritability and improving function. The chiropractor adapts the procedure to meet the specific needs of each patient. Patients often note positive changes in their symptoms immediately following treatment. Patients with chronic low-back pain treated by chiropractors showed greater improvement and satisfaction at one month than patients treated by family physicians. 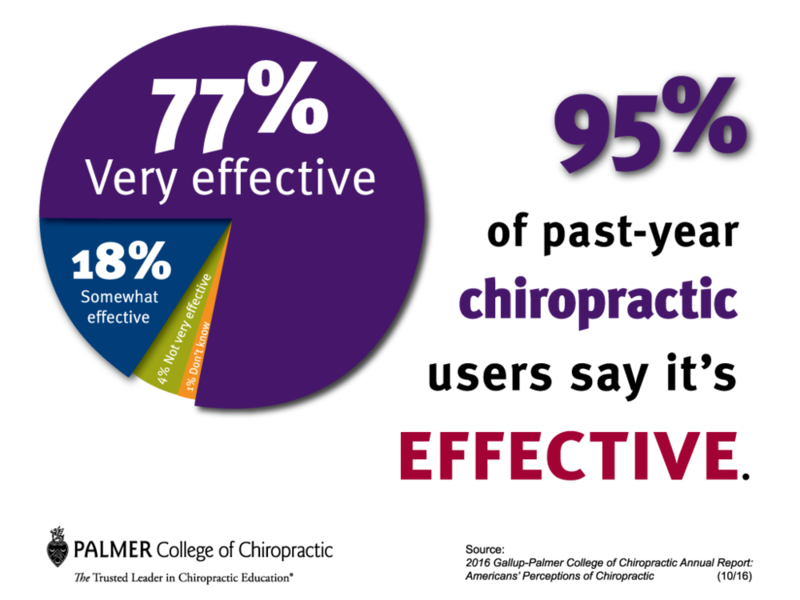 Satisfaction scores were higher for chiropractic patients. A higher proportion of chiropractic patients (56 percent vs. 13 percent) reported that their low-back pain was better or much better, whereas nearly one-third of medical patients reported their low-back pain was worse or much worse.